By providing your customer number we will be able to better assist you by securely accessing your account history. A customer number for the recipient is highlighted in yellow as shown here. It can be used to change an address, but not for a bill payment. 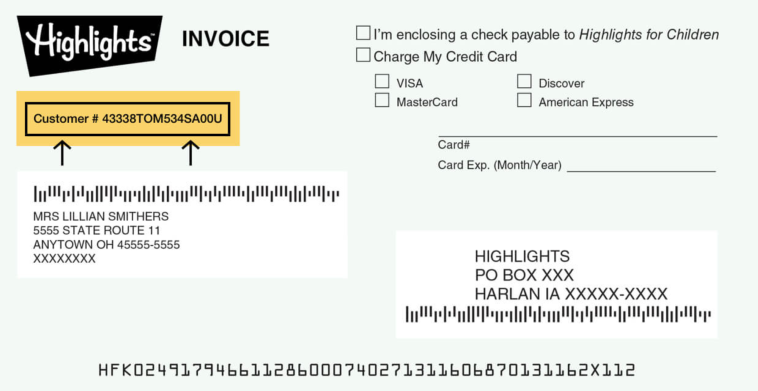 Your account number appears on our invoices labeled “Customer #” and is highlighted in yellow on the example below. You will not be able to log in without the recipient’s #. 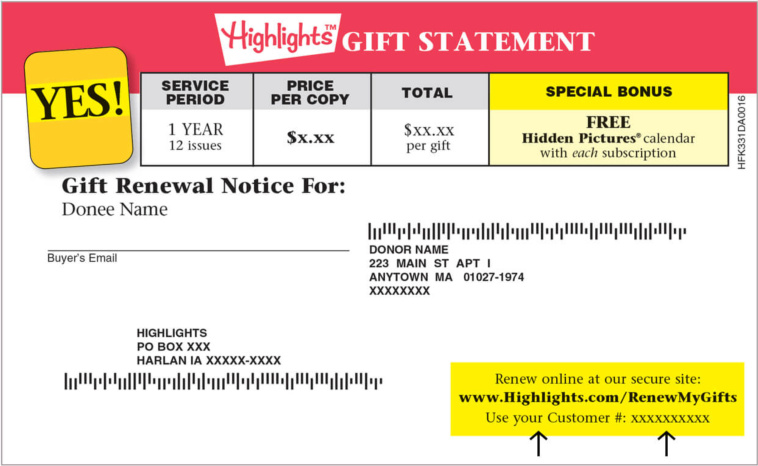 Your account number appears on our renewal notices labeled “Customer #,” and is highlighted in yellow on the example below.